McCormack argues that Karl Barth has developed a post-metaphysical—i.e. Christological—doctrine of the divine being in which God assigns his own being to himself, and constitutes himself as triune, in the singular event of divine election. That is, God is who and what he is only in this decision. The result of reading Barth in the way McCormack does is that he can assert (a) that there is no immanent trinity prior to this divine determination of God’s own being; and (b) there is no “eternal Son” as such, that is, no eternal Son who has an existence independent of and prior to the divine determination that the Son’s being would consist in his union with humanity. This is why God is actus purus et singularis. The eternal act in which God determines to be God-for-us in Jesus Christ and the act in time in which this eternal act reaches its (provisional) goal are a “singular” act, an act utterly unique in kind. God is what he is in this act—which is not true of anyone or anything besides God. Logically, the “transformation” of a Subject into another mode of being cannot be carried out by a Subject who already is that mode of being; otherwise no “transformation” has taken place at all. In truth, however, Barth’s claim will never be understood where we rest content with playing with the logic of Subject-object relations. What is happening here is quite simply a refinement of Barth’s earlier doctrine of the Trinity. In the next sections of his essay, then, McCormack identifies three aspects of Barth’s doctrine of God in II/1 in which the Swiss theologian still works within the frame of a classical metaphysic to some degree at least, which produces, in McCormack’s view, instability and incoherence in his earlier doctrine. McCormack traces this instability to Barth’s desire to retain God as God, to secure the divine freedom of God from us and for us. Thus, he speaks of God’s “immutable vitality” as something that God possesses in himself above and beyond the “holy mutability” assigned to the attitudes and actions of God in the coming of Jesus. So, too, the power of God, his divine omnipotence, is viewed in II/1 as something prior to and above his work of creation and redemption, etc. God could have been omnipotent in a different form. After his doctrine of election, however, Barth says, “May it not be that it is as the electing God that He is the Almighty, and not vice versa?” McCormack finds great significance in the vice versa of this citation, where the “door is firmly closed against the possibility that election…will be seen as simply one possibility among others available to a God whose omnipotence has been defined in abstraction from what he has actually done in Jesus Christ. Such is the case also with God’s knowledge and will. There is an instability at the heart of Barth’s treatment of the being of God in Church Dogmatics II/1—an instability which finds its root in the belief that to God’s “essence” there belongs both a necessary element and a contingent element. … To define the “essence” of God in terms of both necessity and contingency, of immutability and mutability, of absoluteness and concreteness is to allow both elements in these pairs to be canceled out by the other. An essence that is contingent, mutable, and concrete is not and cannot be necessary, immutable, and absolute—unless God is necessary, immutable, and absolute precisely in his contingency, mutability, and concreteness. Where the two are allowed to fall apart as polar elements, the result can be only incoherence. The reason for this instability in Barth’s doctrine lies in the fact that Christology does not control his theological ontology. Once Barth has reworked his doctrine of election in Church Dogmatics II/2, these kinds of tensions are, says McCormack, eliminated. In fact, McCormack quite openly notes that “what I offer in the pages that follow is a reconstruction—what Barth ought to have said, had he followed through, of the ontological implications of his revised doctrine of election with complete consistency.” See McCormack, “Actuality of God,” 211, emphasis added; cf. also pp. 211-213, 215, 234, 237-239. Barth, Karl, Church Dogmatics II/1: The Doctrine of God, ed. Torrance, G. W. Bromiley & T. F., trans., T. H. L. Parker, W. B. Johnston, H. Knight, J. L. M. Haire (Edinburgh: T. & T. Clark, 1957), 264. McCormack, “Actuality of God,” 215. McCormack is citing Barth, Church Dogmatics II/1, 271, though the emphasis is his. McCormack, “Actuality of God,” 215, original emphasis. McCormack, “Actuality of God,” 218. McCormack, “Actuality of God,” 233. Barth, Karl, Church Dogmatics II/2: The Doctrine of God, ed. Torrance, G. W. Bromiley & T. F., trans., Bromiley, G. W. (Edinburgh: T. & T. Clark, 1957), 45. McCormack, “Actuality of God,” 236. McCormack, “Actuality of God,” 237-238, original emphasis. No one, when tempted, should say, ‘I am being tempted by God,’ for God cannot be tempted by evil and he himself tempts no one. With this verse James transitions from peirasmos as trials to peirasmos as temptations. In fact, many commentators identify the transition by translating the text, “Let no one say when he is tested, ‘I am being tempted by God.’” It is worth noting that James would certainly draw a distinction between God testing his people and God tempting his people. The Old Testament has many accounts of the former, from the test established in the Garden of Eden, to Abraham’s test in Genesis 22, to Israel’s tests in Exodus 16 and Deuteronomy 8, etc. It is certainly the case that one’s faith is regularly tested as we noted in our comments on verses 2-4. It is certainly the case that God will at times test particular individuals, either through the circumstances they face (e.g. Psalm 105:17-19) or by presenting them with a particular challenge (John 6:5-6). Nevertheless James insists that God never tempts his people. The verse begins with an imperative followed by two supporting reasons. James’ command is very simple: whenever one is tempted one must not blame God for it as its source or origin. Instead, James grounds his imperative in a twofold reflection on God’s character. First, God cannot be tempted with evil (ho gar theos apeirastos estin kakōn). 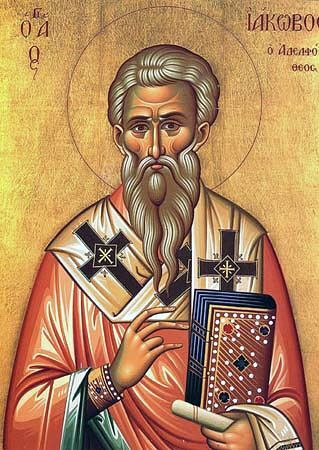 The key word, apeirastos is found only here in the New Testament, and may have been coined by James (Vlachos, 43). Several translations have been suggested. 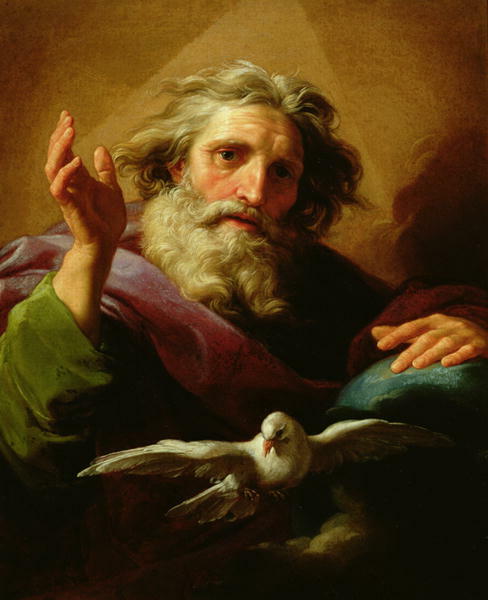 It may mean simply that God is not temptable, that his supreme holiness denies any place whatsoever to evil; or it may mean that God is inexperienced and therefore “untouched” (NEB) with respect to evil; or, as Davids (82-83) has suggested recalling the command of Deuteronomy 6:16, God ought not to be tempted by evil people. 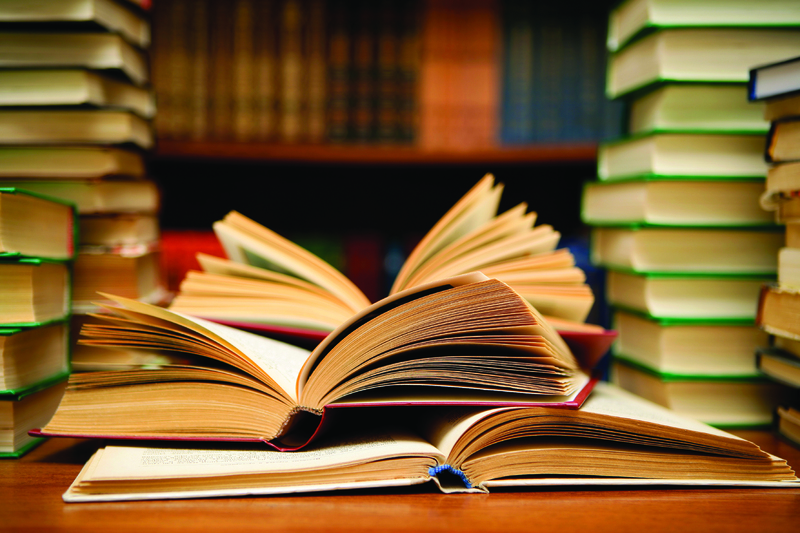 In the immediate context here, the first possibility is usually chosen by translators and commentators. The second possible meaning requires changing apeirastos to the more commonly used aperatos, while Davids’ suggestion does not do justice to the balanced movement of thought in the verse whereby James’ second rationale (“and he himself tempts no one”—peirazei de autos oudena) issues from the first: God cannot be tempted, and he does not tempt any. Thus God’s supreme holiness precludes his being tempted; evil has no foothold or place in God. Because this is true, neither does his holiness entice others towards evil for this would be utterly alien to his holy nature. Further, we see once more that for James, God is wholly and single-mindedly good (cf. v. 17). God remains the gracious and generous God whose will is to bless his people. 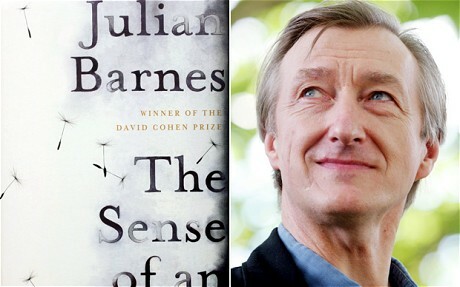 I have just discovered that this truly exceptional book is now available on Kindle for only $33.89 – what a bargain for such an outstanding work! Buy it here! Or, if you prefer your books to have that “new book aroma,” you can get it freight-free from Book Depository for only $45.83. Get in while stocks last! Before Karl Barth gained global recognition as an acclaimed theologian, he served as pastor of a small congregation in the Swiss village of Safenwil. In this book Michael O’Neil opens a window into the world of Barth-the-pastor as he wrestled with the great themes of the gospel and its proclamation and application in the midst of devastating social upheaval and change. 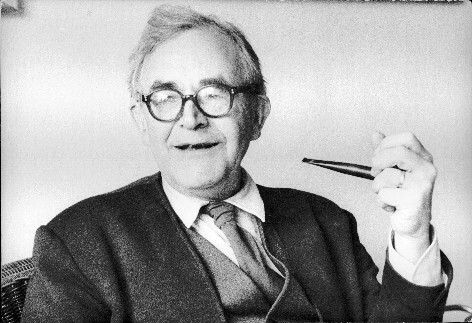 Barth’s theology is pastoral theology; his dogmatics are a Church dogmatics, a theology in service of the life and ministry of God’s people. O’Neil shows that Barth’s early insights into the gospel are every bit as relevant in the early twenty-first century as they were in the early twentieth-century. 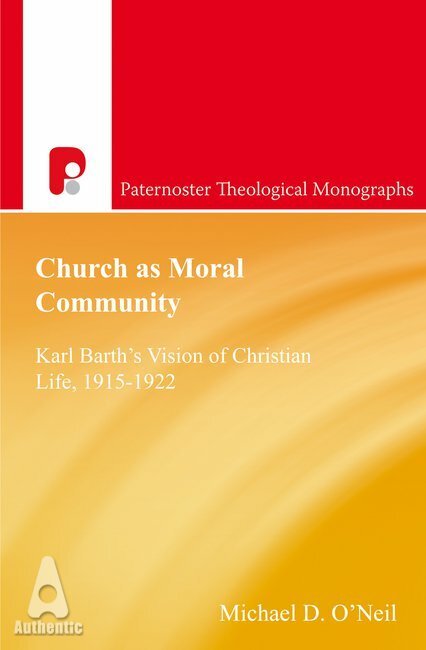 Let Barth’s moral vision inspire and challenge you to live for Christ in a challenging world: read the book! One of the aspects of James’ theology that becomes apparent in this verse is a sense of conditionality with respect to the believer’s reception of the divine promise. James does not so much pronounce the blessing as identify what the blessing is (the crown of life) and stipulate the grounds on which it is received (standing firm in trials, loving God). 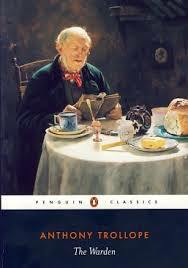 Although James does not use the language of “reward” in this text, the idea is present. Those who fulfil the conditions stipulated will receive the promised blessing. Some might find the idea of “reward” too close to the concept of merit, and so antithetical to genuine Christian faith and spirituality. Luther famously referred to James as less than apostolic, and to his letter as “an epistle of straw” as compared to those other New Testament works which set forth Christ and salvation more clearly (Luther’s Works, 35:362; cf. 395-397). Yet the New Testament often calls believers to consider the blessing which awaits them, and so be encouraged in faithful endurance. For James, faith and salvation are not the fruit of a simple profession of faith which does not come to expression in the lived experience of the believer. Genuine faith is active and enduring. Faith, in this context at least, consists in faithfulness, and there is no possibility of a separation between faith and praxis, the two belonging together as two aspects of the one reality. This connection between fidelity and blessing was typical of early Christian thinking, according to Scot McKnight, who notes that “James 1:12 is more like Jesus and 2 John and Revelation than like Paul” (111), although Paul also can speak of “faith which works through love” (Galatians 5:6), and of the “work of faith” (1 Thessalonians 1:3). Nevertheless, Paul’s more consistent theme is to speak of faith as distinct from works (Romans 3:21-31), or even over against works (cf. Galatians 3:7-14). As a result, some commentators, pastors and Christians seek ways to bring James’ message into alignment with that of Paul. It is an error, however, to assimilate James too quickly to Paul, for such an approach limits and flattens the diverse New Testament witness. It is a far better approach to allow James’ distinctive contribution to stand in all its stern power. James and Paul sing from the same page but sound different notes, James’ harmony complementing Paul’s melody. A better musical analogy would suggest the two authors represent two songs on a single album, each distinct yet part of a larger whole, each contributing in their own voice and style to the overall project. Christian witness, spirituality and life require both voices to sound, both songs to be heard, both compositions to be accepted on their own terms. We will have occasion to discuss the relation between James and Paul at greater length in chapter two. Suffice it here to say that James’ intent is to insist upon the nature of faith as active and enduring, and to insist also that eschatological validation of one’s faith will be predicated upon the kind of life which demonstrated the genuine nature of that faith. To say all this, however, is not to suggest that James’ spirituality is one of works undertaken in order to earn merit, achieve salvation, and so gain the promised reward. The final phrase of James’ exhortation is crucial: “which [God] has promised to those who love him.” Love for God is the motivation by which we stand firm under trial, refusing to buckle in the face of pressure, stress and affliction. Love for God undergirds the enduring faith which James has portrayed so steadfastly thus far. Those who persevere under trial and stand firm against temptation do so because they love him. By shifting his emphasis to the believer’s love for God, James clearly indicates that the work of faith over the course of one’s life is an expression of this deeper inner motive. Our faithfulness springs from this love which finds its root in his initiating love for us, grounded in the promise of this ever and always generous God, and the gift of salvation by which he has brought us forth (cf. vv. 5, 18). Our faithfulness toward God is but the echo of his greater, prior and all-encompassing faithfulness toward us. But faithfulness it must be. What these theologians are interested in is basically two things: the will of God as it relates to free rational creatures and the question of what God knows and when he knows it. So open theism has to do, above all, with the doctrines of providence and divine foreknowledge. 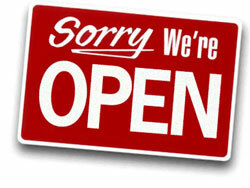 … The basic intuition is that the future is “open” not only for us but also for God. 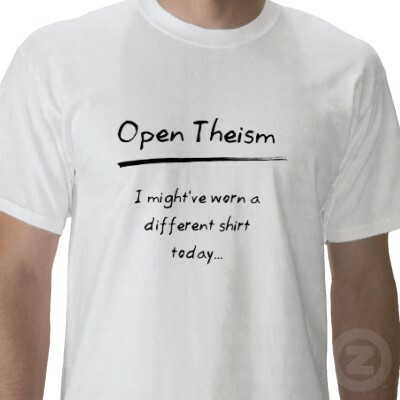 … Open theists hold…that an exhaustive divine foreknowledge is logically incompatible with human freedom. I regard the lack of an adequate Christology—i.e., one which gives comprehensive attention to the problem of the ontological constitution of the Mediator—to be the single biggest defect in open theism; one which threatens to undermine the entire scheme and render its justified protest against classical theism ineffectual. It is clear from this statement that McCormack is sympathetic to the open theists’ aim but also rejects their approach to the matter. Addressing the work of Clark Pinnock particularly, McCormack finds that he holds a “fairly classical understanding” of the divine attributes. Although God is said to “suffer,” Pinnock evidently means by this, a kind of suffering distinct from the divine being: “What God is, it would seem, is something that is complete in itself, above and prior to any experience by God of suffering and pain.” The Son who becomes incarnate also puts aside the use of any divine attributes which would conflict with his experience of being human. In this form of kenotic Christology, suggests McCormack, Jesus suffers humanly but his suffering as such has no impact on what the Logos is essentially, and so no effect on the divine nature. McCormack notes that the open theists’ Arminian account of salvation also drives their doctrine of providence: the way God works in conversion is typical of the way God works with human beings generally. God limits his own power in order to provide space for the relative independence of human creatures, and then deals with them by means of persuasion. The open theists’ commitment to an open future entails a rejection of exhaustive divine foreknowledge, possibly their most controversial claim. The Achilles heel of this position for McCormack is that they confuse “certainty” with “necessity.” He borrows this distinction from William Lane Craig who argues that certainty is a predicate of persons, and so God’s certain knowledge of what will transpire in time does not render those things “necessary,” for they will occur as a function of the natural and historical conditions under which they take place. Pinnock would, no doubt, dismiss the Westminster Confession as a Presbyterian confession without significance for his church and the churches of his allies. But given the radically divided nature of Protestantism in the West today, it seems to me…the better part of wisdom to grant to the teaching office in Rome relatively binding authority on questions in relation to which no existing Protestant confession has taken a different position. Thus McCormack faults open theism for the rejection of one element of classical theism which he suggests must certainly be upheld. He remains sympathetic to their rejection of “a putative divine impassibility and timelessness” but suggests that such a case must be built on an entirely different metaphysical platform. In the end, open theism remains wedded to the essentialist presuppositions of classical theism and as a result cannot prosecute their case coherently. McCormack will go on to explore how Karl Barth’s actualistic conception of divine being might more fruitfully be applied to issues of interest to the open theists though without sacrificing either divine foreknowledge or immutability. McCormack, “Actuality of God,” 190. McCormack, “Actuality of God,” 201, original emphasis. McCormack, “Actuality of God,” 199, original emphasis. McCormack, “Actuality of God,” 199. McCormack, “Actuality of God,” 203. McCormack, “Actuality of God,” 203, citing Pinnock in The Openness of God, 113. McCormack, “Actuality of God,” 205. McCormack, “Actuality of God,” 207. McCormack, “Actuality of God,” 209. McCormack, “Actuality of God,” 210. McCormack, “Actuality of God,” 209-210. In spite of these rather significant differences, what classical theism and process theism have in common is far more important. What they have in common, in the first place, is the belief that the “order of knowing” runs in the opposite direction to the “order of being.” That is to say, though the being of God is above and prior to the being of all else that exists (and therefore first in the “order of being”), our knowledge of God proceeds from a prior knowledge of some aspect or aspects of creaturely reality (and therefore the knowledge of God follows knowledge of the self or the world in the “order of knowing”). … Thus epistemology controls and determines divine ontology. … Both [classical and process theism] are exercises in metaphysics because both take up a starting point “from below” in some creaturely reality or magnitude and proceed through a process of inferential reasoning to establish the nature of divine reality. And this means…that both claim to know what God is before a consideration of Christology. What is happening here is that a definition of a term devised originally for speaking of love on the plane of human relations is being applied in a rather straightforward fashion to the being of God—without any sense that an illegitimate anthropopathizing of God might be taking place. … the Johannine axiom—and the meaning assigned to it—provides the open theists with (1) a criterion of selectivity for identifying passages in the Old Testament which are supportive of their claims and (2) a hermeneutical key for ordering these passages to other, more problematic passages. Second, McCormack notes that the open theists’ biblical case is largely build on passages in the Old Testament, and that “virtually the whole of the open theistic understanding of God has been fully elaborated on the basis of the Old Testament before the incarnation comes into view.” He observes that both open theists and classical theists tend to harmonise the various texts of the Old Testament with respect to this issue, reading texts problematic to their view in light of other supposedly “more central” texts. McCormack’s own hermeneutical approach is of interest. He wants to allow Old Testament tensions to stand because (a) Scripture is not the work of a single author but a record of revelation received, and so somewhat ambiguous, especially in the Old Testament, which (b) requires interpretation in the light of Jesus Christ in whom alone God’s ultimate intentions are made known. But the open theists’ treatment of the New Testament is largely predicated on a reading of Jesus’ interactions with others and his death on the cross as illustrative of the nature and being of God. McCormack is concerned, once more, that the open theists have applied their “metaphysic of love” so that Jesus is introduced only to validate a conception of God that has been worked out without reference to him. McCormack, Bruce L., “The Actuality of God: Karl Barth in Conversation with Open Theism,” in Engaging the Doctrine of God: Contemporary Protestant Responses, ed. McCormack, B. L., (Grand Rapids: Baker, 2008), 187. McCormack, “Actuality of God,” 187-188, original emphasis. McCormack, “Actuality of God,” 192, citing Richard Rice in Pinnock, C., The Openness of God, 16. McCormack, “Actuality of God,” 192, 193. McCormack, “Actuality of God,” 191, original emphasis. McCormack, “Actuality of God,” 195. McCormack, “Actuality of God,” 197.